Celebrating 100 Years with National Park Service! THE NATIONAL PARK SERVICE TURNED 100 on August 25, 2016. 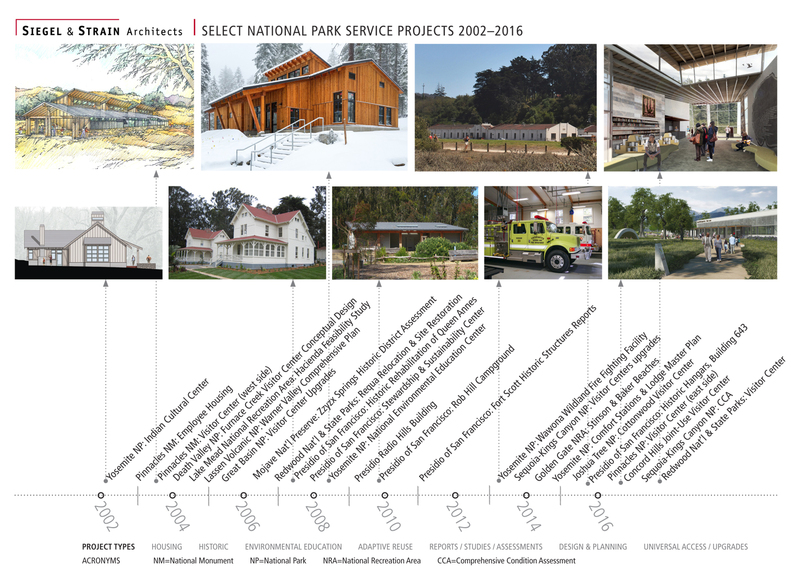 The centennial will kick off a second century of stewardship of America’s national parks and engaging communities through recreation, conservation, and historic preservation programs. Siegel & Strain is proud to be collaborating with NPS and their partners, such as NatureBridge, Yosemite Institute and Save the Redwoods League, on important park initiatives throughout the West, including the new National Environmental Science Center in Yosemite National Park and the development of new master plans that will support the growth and diversity of visitation through Park Service's second century. 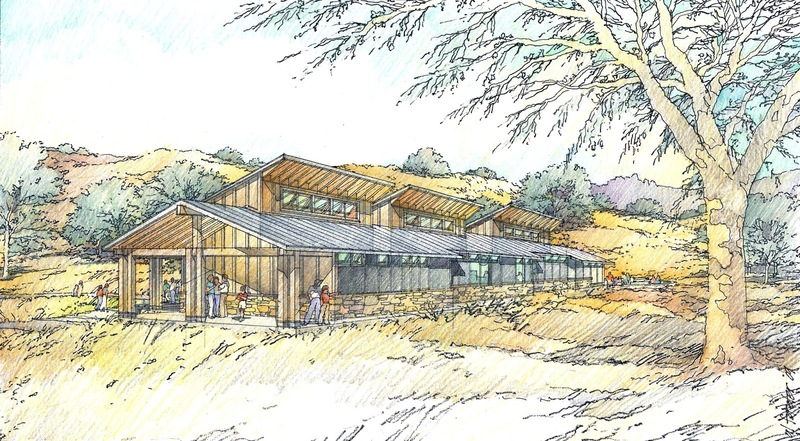 With more than 100,000 visitors per year overtaxing the Parks’ existing Kuchel Visitor Center, Save the Redwoods League proposed to design a new, expanded visitor center on a site two-miles inland from the existing facility, and to gift it to the National Park Service. 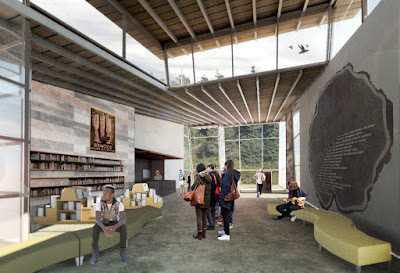 The new visitor center, located on a former mill site with views of old growth redwoods, will serve as the gateway to the Parks, housing interpretive exhibits and administrative offices. Site amenities include an amphitheater, outdoor exhibits, trailheads and picnic areas, offering a range of experiences for diverse user groups. The project will be closely coordinated with a major site restoration effort. Siegel & Strain Architects, in collaboration with Trachtenberg Architects and PlaceWorks, prepared a conceptual design for the adaptive reuse of a military warehouse at the former Concord Naval Weapons Station, as part of a long range plan for transforming the former military base into a regional park. 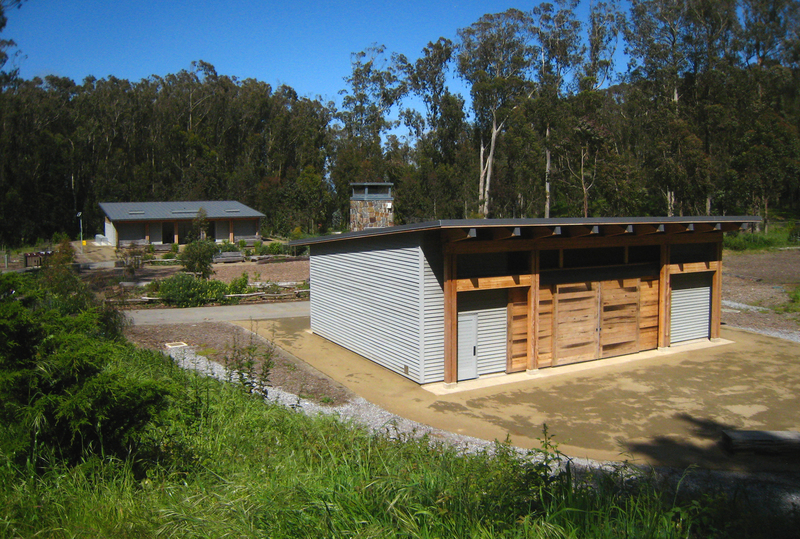 The Visitor Center will be jointly operated by East Bay Regional Park District and National Park Service and will interpret subjects including the WWII Port Chicago munitions disaster, and the area’s natural history. Designed to replace the 80-year-old structure that had previously served Yosemite fire crews, this state-of-the-art facility houses apparatus bays, work areas, offices, a training room and support spaces, and is designed to easily expand for future bunk rooms, fitness room and more offices. Designed on a very tight budget, the high performance building envelope minimizes the size of the HVAC systems and provides efficient operations. 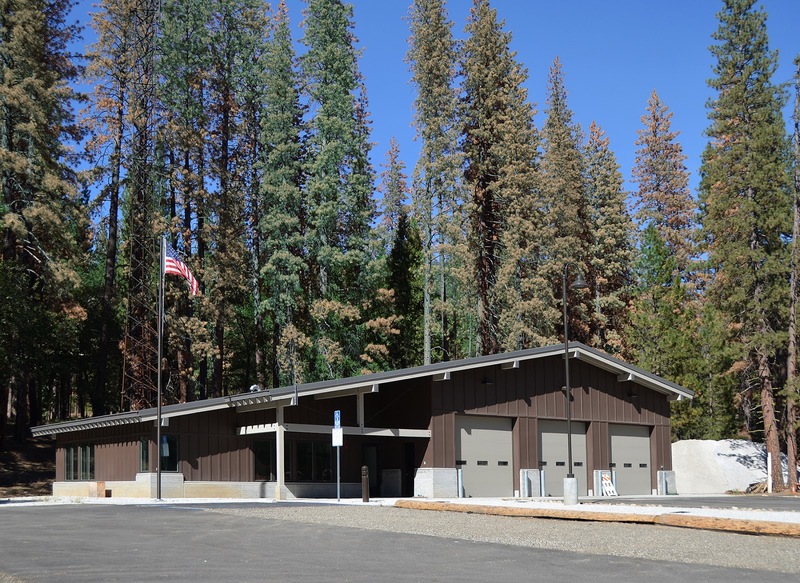 The facility was carefully sited to minimize impacts on trees and other park resources, while allowing fast response times for the apparatus. The Yosemite Valley Village Store is to be re-purposed into the primary “port-of-entry” for visitors to Yosemite Valley. 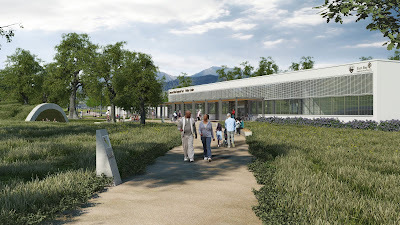 The space will be returned to the original glassy pavilion designed to focus on views of Glacier Point to the south. New decks and entry doors will provide access from all sides and provide ample space for outdoor kiosks and exhibits. New exhibits will be designed to orient visitors to major park sites and get them to their destinations quickly. 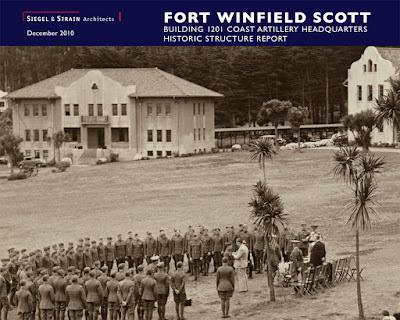 The Presidio Hill Radio Building is a rectangular three-story reinforced concrete structure built ca. 1941 west of an existing Radio Receiving Station at the Presidio of San Francisco. 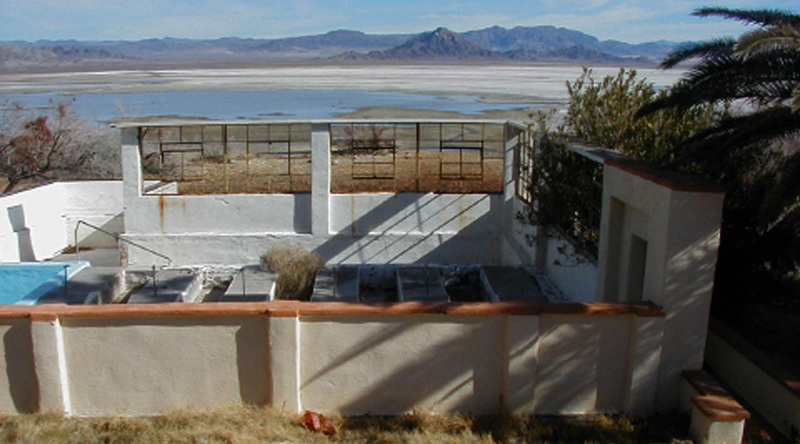 S&S was interior architect for remodeling the building into a radio repair and emergency radio facility, as part of a multi-agency radio communications project. The interiors were integral to the successful seismic upgrade which included replacing brittle hollow clay tile veneer walls with insulated framed walls detailed to meet windows and trim in the same way as the historic fabric. The Comprehensive Plan details program and design criteria for projects in Warner Valley. The design criteria provide a long-term plan for development of the project area considering site-specific resource constraints. The purpose of the plan was to improve visitor experience through educational, interpretive, and recreational opportunities and the protection of wilderness values, the cultural landscape at Drakesbad Guest Ranch, and the historic and cultural resources in the Warner Valley. 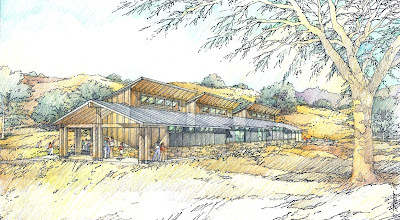 Siegel & Strain developed a pre-programming report and conceptual sketches for the proposed rehabilitation of the 16,000 square foot Visitor Center and Administration Office complex. The project examined energy, programmatic and ADA upgrades. The conceptual design expanded the visitor center lobby for improved visitor orientation and circulation patterns, and reduced an underutilized auditorium, incorporating an adjacent retail operation into space gained. Reconfigured, expanded and ADA compliant parking facilities support high visitation and correct hazardous traffic situations. 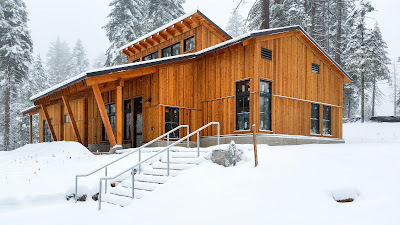 Siegel & Strain completed design development for the new center located near Yosemite Lodge and within the historic Wahhoga Village site inhabited by the Southern Sierra Miwoks for 3,000 years, until the late 1960s. 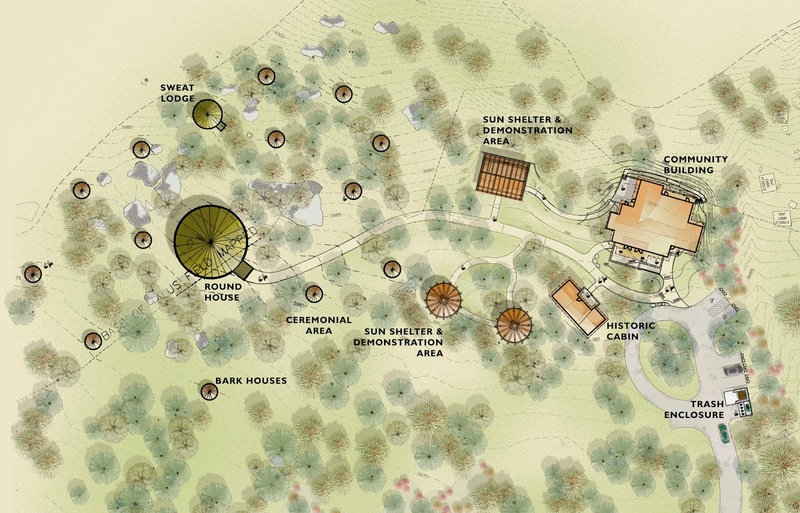 The plan included returning the last remaining historic cabin to the site and building a new Community Building—with a multi-purpose room, catering kitchen, support facilities—for the Native American Community, along with a ceremonial Roundhouse, sweat lodge, traditional shade structures and bark houses.